I am bringing mandala cards (small giclée prints) to Gathered in Three Rivers today. 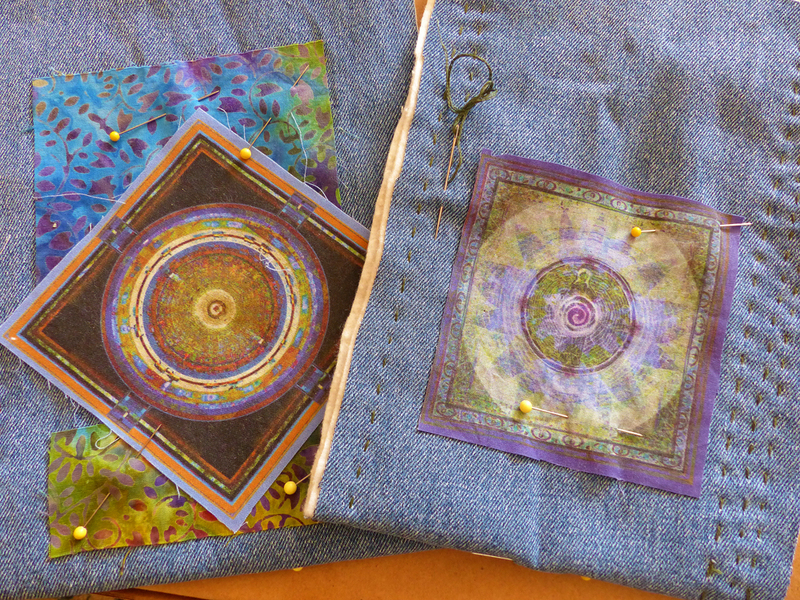 And, I am sewing (embroidery and boro stitching) fabric mandalas on to old jean fabric to make some small “glad bags”. I need to feel glad more than mad these days. This entry was posted on September 30, 2018 by Elsah in Glad Bags, Stitch.